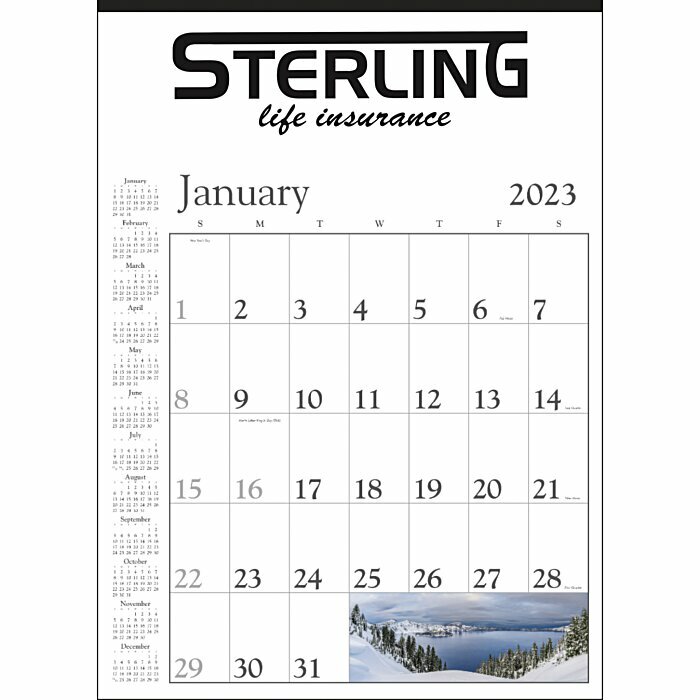 Decorate this calendar with your imprinted logo! 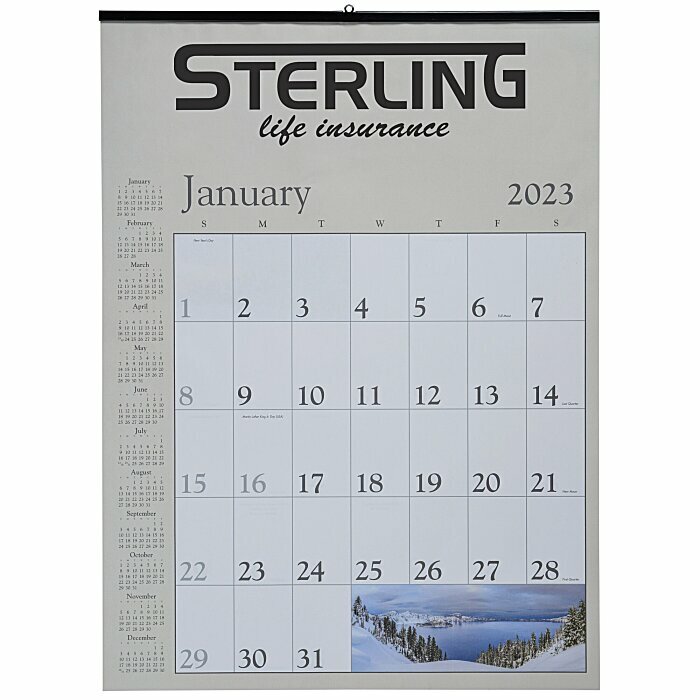 Hang this decorative calendar on the wall of your home or office and proudly display your logo all year. Each page features vibrant colored photographs of nature and various landscapes. Beautiful 12-month calendar clearly identifies moon phases, holidays and other special remembrances. Each month includes a full year calendar along the left side so they can view the entire year in one glance. Large date blocks provide plenty of room to write in daily appointments and reminders. This calendar is made of 60# stock paper with a black metal top with a loop for easy hanging. Available in either tan or white. Your price includes the same black imprint on top of each month of the calendar.